Going through my photo albums it appears that my last roll of film was shot sometime in 1999, and after almost 20 years I have decided to shoot some film again. Why? Firstly for fun, and secondly to challenge myself a bit. With digital we have too many second chances; we shoot, review – not good, shoot again, review … and so on until we get what we want. With film one needs to learn to get it right first time, every time, with no reviews. I bought a film camera kit from a local lad consisting of a Canon F-1 and two Canon A-1 cameras and quite a few lenses, most notably FD 28 mm f/2.8, FD 50mm f/1.4 and FD 100mm f/2.8. All cameras look in near mint condition, however have a few issues. 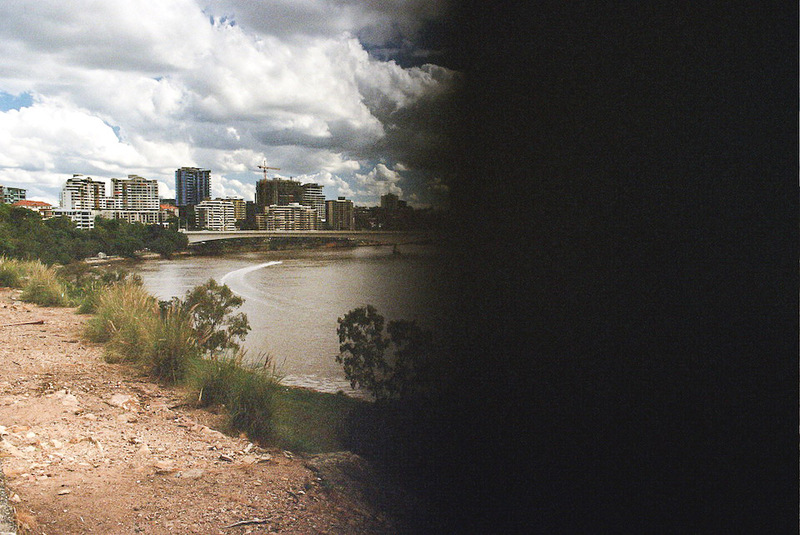 The F-1 seems to have a shutter capping issue (see a sample photo) and requires a visit to technician, if one can be found in Brisbane. I love this camera, the light-meter in the viewfinder is awesome. However, it’s a heavy piece of gear and needs to be fixed before it can be used. The two A-1s are much lighter but the LED light-meter in the viewfinder is somewhat primitive when compared to that of F-1. One of the A-1s had the shutter squeak but I managed to fix that by following instructions found on Youtube. The other one seems to be alright. Both A-1 light-meters tend to overexpose a bit, when compared to F-1 and to 5D mk III metering. I shot a black and white roll and the overexposure is consistent between 2/3 and one full f-stop. This is what the difference looks like between original image and adjusted one. The current film I have in the A-1 camera is a Fuji ISO 100 roll, but I’ve set the camera so it thinks it’s an ISO 160 film. That should bing the exposure in line. I’ve got the film developed and scanned at the local lab as I don’t have any facilities to do so at home, although I would love to have my own dark room. I bought the Wacom Intuos Manga – Creative Pen & Touch tablet the other day and had quite some fun learning how to use it when editing my photos. However, last week I had to do a complete wipe and reinstall OS on my Mac and couldn’t get the tablet to work no matter what I did. First of all, why did I reinstall the OSX? The computer I’m using came with OSX10.6, which I eventually upgraded to 10.7, then to 10.8 and finally to 10.9 as they came out. None of these were clean installs, but rather straight upgrades. Every time it worked perfectly fine, but since upgrading to 10.9 things started slowing down. It came to the point where I had to do something so I did a clean 10.8 install and left it there. No 10.9 for now. After installing all applications and enjoying my computer flying again, the Wacom tablet driver game me some grief, displaying “A supported tablet was not found on this system” error message when trying to configure it. I searched through number of forums and help files, but the general advice to remove and reinstall the driver, as well as repairing permissions didn’t work. …but still got the same error message. Argh! Considering I ‘downgraded’ to 10.8 I thought I’d downgrade the driver, too. I even went one step further (back) and downloaded the driver 6.20-W4, which the site states is for OS-X 10.7 and older, but it worked perfectly fine in my case. The old driver was downloaded from the Wacom Europe website. It’s disappointing that one needs to go through this much trouble to get the tablet working, but in the end the result is just sweeeeet. Oh, by the way, the tablet comes with some software, one of which is Adobe Photoshop Elements 10, so if you are after PSE and were thinking of using the tablet, this might be quite a handy purchase.